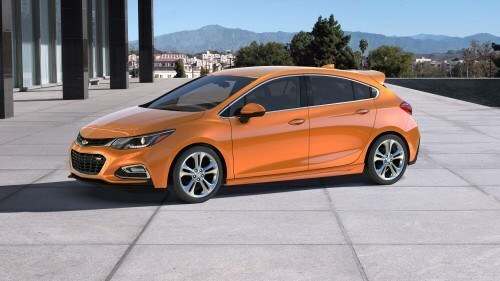 Wallace Chevrolet > Chevrolet > Chevrolet Cruze Hatchback Finally Revealed! Chevrolet Cruze Hatchback Finally Revealed! Here it is, folks! The long-fabled Chevrolet Cruze Hatchback is real and it’s coming to Canada this fall. Chevrolet Canada yesterday pulled the wraps off the all-new Cruze variant, ahead of its official debut at the North American International Auto Show later this month. 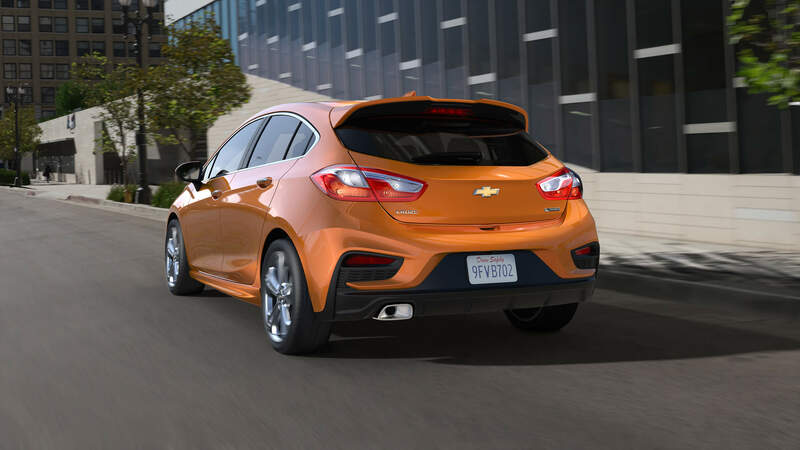 Visually, the Cruze hatchback wears a new roof, wraparound taillamps, and an integrated spoiler at the top of the liftgate. 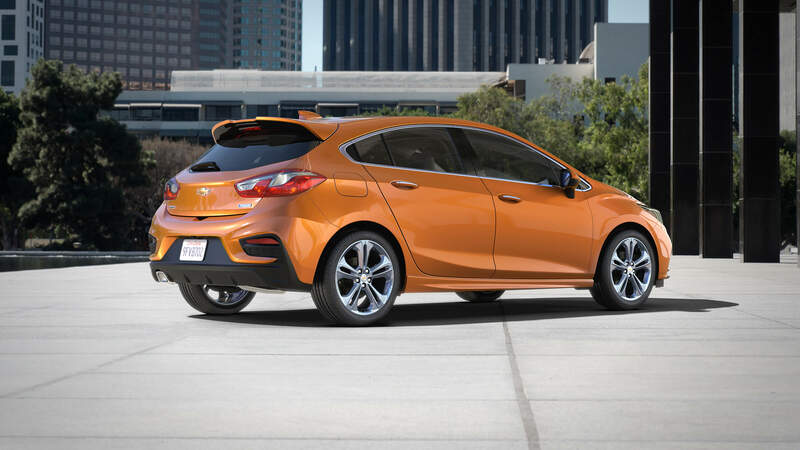 We’re big fans of the look and in our eyes Chevrolet did a great job creating a Cruze hatchback. Sharp! 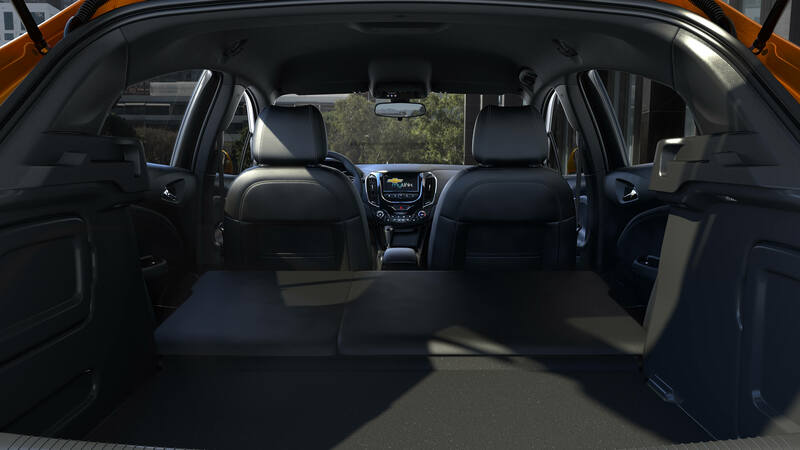 The big news is out back, as the rear half of the Cruze has been transformed into a more shapely, cavernous space that can easily gobble up gear and goodies. You’ll be treated to more than 524 litres (18.5 cubic-feet) of cargo space behind the rear seats and a massive 1,336 litres (47.2 cubic feet) with the seats folded down. Woo-hoo! Nearly 50 cubic-feet of cargo space with the seats folded. While the Cruze sedan is available in four trims- L, LS, LT, and Premier- the Cruze hatchback is available in LT and Premier trims, and with the RS package. Like it’s sedan brethren, the new Cruze hatch features a turbocharged 1.4L inline four-cylinder engine with 153 hp & 177 lb-ft of torque, providing the perfect balance of power and efficiency. New taillights wrap around the body and onto the liftgate. – Plus a raft of safety features! LOOK FOR THE 2017 CHEVROLET CRUZE HATCHBACK AT WALLACE CHEVROLET THIS FALL!